Confirm the transaction details, tap Make Transfer and you’re done! Get the app and try it today. Certain devices with built-in fingerprint scanners are eligible for enrollment in Touch ID® or fingerprint sign-in. If eligible, you will have the option to check the box for either Set up Touch ID® or Set up fingerprint sign-in within the Mobile Banking app. Check the box and follow the in-app prompts to enroll. 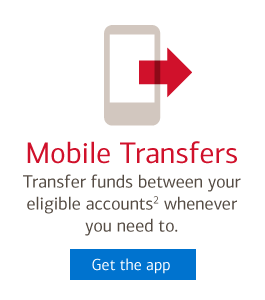 If you store multiple fingerprints on your device including those of additional persons, those persons will also be able to access your Bank of America Mobile Banking app via fingerprint, including the ability to access a call center, when Touch ID or fingerprint is enabled. Data connection required. Wireless carrier fees may apply.